One of the reasons I love Thanksgiving is that it is an eating holiday. No bearded man, no bunny. Just food. 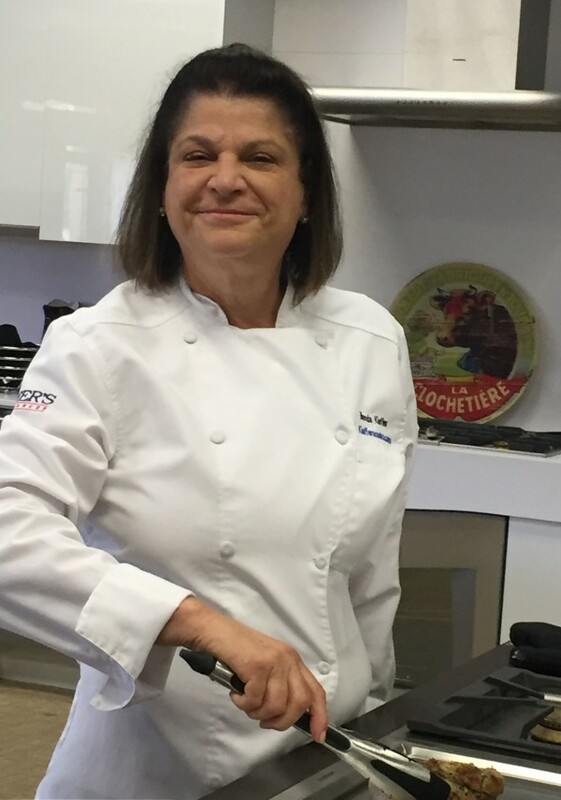 Since I am the one cooking, I can usually control myself at the hors d’oeuvre portion of the day because I am in the kitchen sending out these tiny, but calorie laden snacky items and getting the rest of the meal prepared. However, when I am a guest-LOOK OUT! I adore eating tapas style and actually the pre-meal is just that-tapas. So I can consume an entire meals’ worth of calories (plus) in about 15 minutes. Before the meal is actually served. Dangerous. Yeah, yeah, I know, go for a little plate of crudités and skip the dip. WHAT??? The dip is the part that makes the celery sticks edible! In truth, I love vegetables, any vegetable, plain or gussied up, but there is just something fun and decadent about dipping one food into another and the creaminess the dip adds…and the ton of calories. So I am always on the lookout for a dip that has the mouth-feel and umami of the sour cream/mayo based dips, but are healthier. Keep reading. 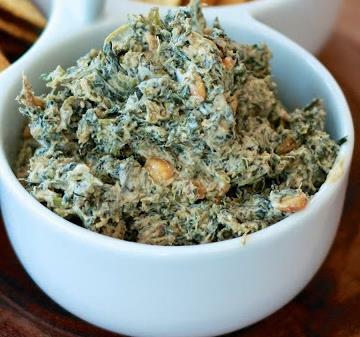 This dip is actually quite healthy…basically spinach, yogurt and spices. I am not a huge yogurt fan. The-eating yogurt- for- breakfast- or -snack- kind of non-fan. But add full flavored things to it and frankly, I am just as happy with the result as using mayo and/or sour cream…and there is no guilt! Eat the WHOLE THING if you want. Serving this with veggies is not counterproductive for a change, like onion dip, blue cheese dip, ranch dressing, etc. And no one will suspect that it is low calorie. Line a strainer with paper towels (one layer), scoop the yogurt onto the paper towels and set the strainer over a bowl. Let sit at room temperature for 30 minutes. You should end up with about 1 cup of thick yogurt. Discard the watery stuff in the bowl. Meanwhile heat the oil in a small skillet and add the pine nuts and minced onion and cook, stirring often, over medium-high heat for about 5 minutes or until the onion just begins to brown and the pine nuts are golden. Add the garlic and stir another minute-be careful not to burn the garlic (tastes awful). Add the cumin, coriander, chili, curry and cayenne powders and cook, stirring, for about a minute or until nice and fragrant. Cooking these dry spices (and not just adding them at the end) makes them more flavorful and bright and takes the “raw” taste away. Scrape into a bowl and let cool. Squeeze the defrosted spinach in your hands, much like ringing out a washcloth. Try to get every bit of water out. Doing this will help keep your dip from getting watery as it sits. Wrap the squeezed spinach in a towel or paper towel and squeeze some more. You got it…as dry as you can get it. Coarsely chop the spinach and add it to the onion and spice mixture. Add the yogurt and season with salt and pepper. Stir well and serve with veggies and/or bagel chips (for those of your guests who think vegetables are poison). Note: to make this even lower calorie, eliminate the pine nuts. It will still taste great!